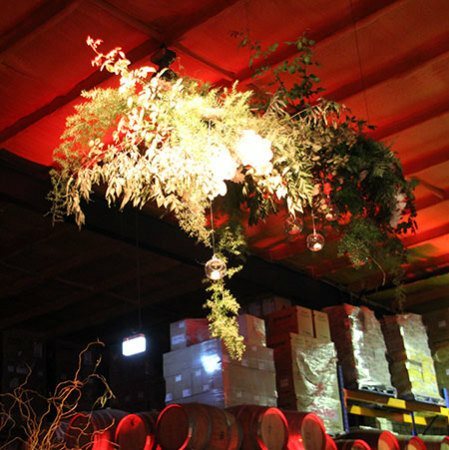 An indoor garden theme using white and green was the event brief for this Hunter Valley awards dinner. A suspended floral ceiling arrangement is very in vogue right now, and our florists felt it was the ideal way to make an impact that fitted the style of the evening. These event flowers require skill and expertise to arrange and install on-site and our florists did a fantastic job. All our event table arrangements are unique to the client, based on the nature of the event, budget and style brief. For a free consultation and quote on your event flowers in Sydney and surrounding region, please give our florists a call on 1800 66 66 46 or email sales@flowersforeveryone.com.au.